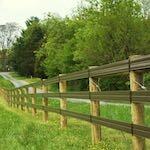 ProFence, LLC is a leading provider of field fencing for much of the Eastern USA. 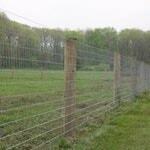 We have been supplying and installing field fences since 1993. Having employees that are partners in the business has contributed greatly to the success we are enjoying today. We all have a stake in our growth and work as a family. 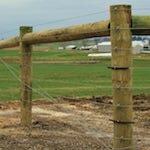 This combined with our expertise in fencing, makes us a clear choice for all your field fencing needs. No matter what livestock you have on your property, we have a field fence specifically designed to enclose many types of animals. During our free fencing consultation, we will inform you of the most effective and cost efficient field fence for your particular situation. 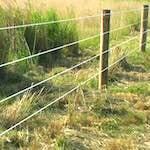 Woven wire fences are an inexpensive and excellent solution for keeping your livestock on your property and safe from predators. A woven wire fence will contain many different types of animals. 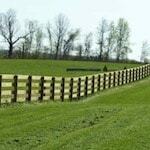 We are a team of field fence installation experts. Since 1993 we have experienced fence installations on all types of ground surfaces and around many obstacles. 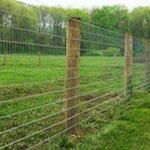 We have the experience that ensures your field fence will be installed correctly the first time. Whatever your field fencing needs are, we will be able to accommodate you with great pricing and quality that will last a lifetime. 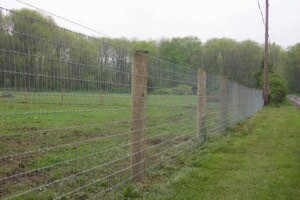 Call us at 800 433 6236 or fill out our Free Field Fence Consultation form to get started.